Catherine is an Osteopathic Manual Practitioner. She earned her Diploma in Osteopathic Manual Practice, D.O.M.P., in 2001 from the Canadian College of Osteopathy in Toronto. She successfully defended her thesis entitled ´Clients Perception of the Effectiveness of Osteopathic Treatment in the 21st Century-ASurvey’. She found that people choose osteopathic treatment because the practitioners treat globally, find the cause of their dysfunction, and are good listeners. 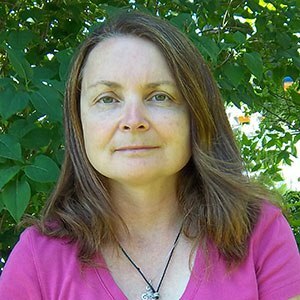 Catherine began her post secondary education by earning her Honours Bachelor of Arts degree in Physical Education from the University of Western Ontario. Her focus was in the athletic injuries stream and she then went on to complete her Diploma in Sports Injury Management at Sheridan College which was a one of a kind program at the time. This education afforded her the opportunity to work in various settings including the athletic therapy department at Queens University and to work with various athletes including the Canadian Freestyle Ski team. Catherine began her Osteopathic studies while practising as a Certified Athletic Therapist. Catherine uses various osteopathic treatment techniques for a whole body, personalized approach. Her interest lies in the more subtle but powerful techniques that focus on the cranium, fluids and viscera (organs). She is an active member of the Ontario Association of Osteopathic Manual Practitioners(OAO). She recently retired from the board of directors after six years of service. Catherine has many years of experience as a healthcare practitioner and her interest lies in empowering individuals to understand the multifaceted nature of themselves and how mind, emotion and spirit impact upon their physical health.